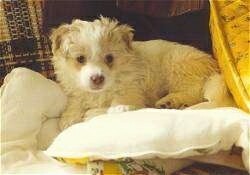 In loving memory of Tucker, who was a spirited little Terrier/American Eskimo mix. He was adventuresome and he loved to explore. He ran away at every opportunity! At 4, Tucker survived being run over by a car. He was then resuscitated after cardiac arrest during surgery. We thank God he lived another 15 years. He was an incredible fighter and he changed our lives forever. 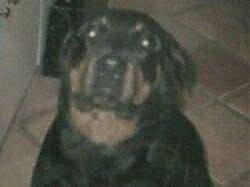 Tempest the Rottie was the most wonderful dog we have ever had. She was one of two that survived a very complicated birth. Her mom was unable to feed her milk so my husband and I, from the moment she was born, fed and cared for her. 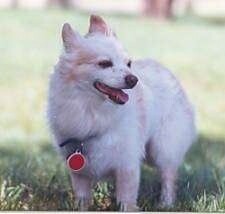 She grew up to be the most beautiful and gentle dog. She was our daughter. Tempest was 108 lbs. of pure love. Everyone who knew her could not help but love her. Tempest was a very healthy girl up until March of this year. She began to retain water and lose weight. On April 4th, after all the tests possible, we were given the devastating news that Tempest had cancer in her liver and in her abdomen. So we had to do the hardest thing ever: we put her down. We were able to be with her till her last breath. 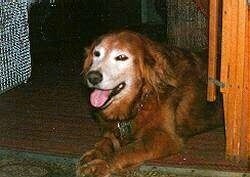 We miss her every day and will always remember our girl who gave us a lifetime of happiness. Nippa came into our lives October 13, 1994. 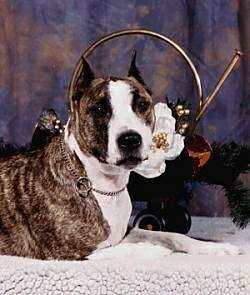 She was a rescued American Staffordshire Terrier. She is the one who made me fall head over heels in love with the breed. Nippa was unique. She was extremely special. I always had one thing to say about Nippa, "She was my heart." Each and every one of us have had that dog or still have that dog that just touches a part in your heart that you thought did not even exist. Nippa touched many people. Had they gotten to know her I am sure she would have touched their hearts. This was one of God’s creatures that never did anything to anyone, except show unconditional love and kindness. 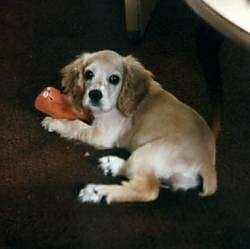 This was my dog Kelcie. She was born March 1, 1990 and died April 19, 2000. I wasn't even fond of Cocker Spaniels before I got her, but she stole my heart anyway. Kelcie will never be forgotten and I hope to see her again in heaven someday.